The Yezdi brand was a legend of its time. Produced by Ideal Jawa from Mysore, the two stroke motorcycles under the Yezdi brand were powerful and simple two stroke machines that Indian motorcycle enthusiasts grew up with in the 1970s, 80s and 90s. 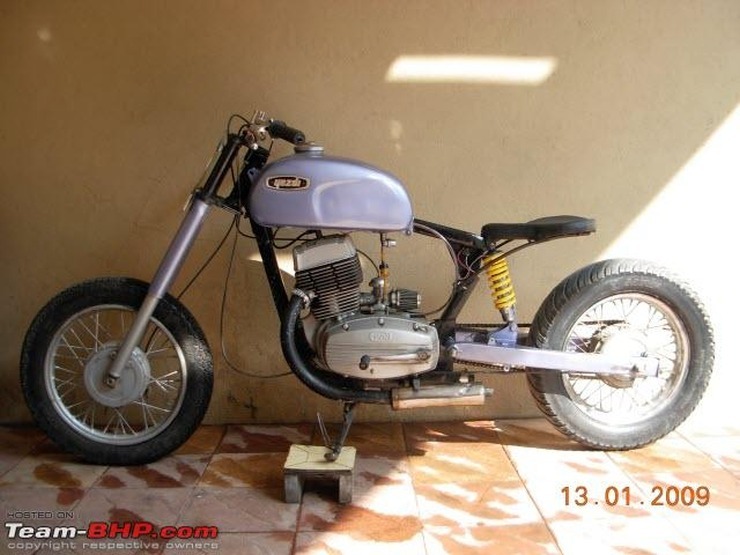 While Ideal Jawa is now under, some enthusiasts have kept the Yezdis alive, in stock and modified form. Today, we take look at five more modified Yezdis from India and abroad. 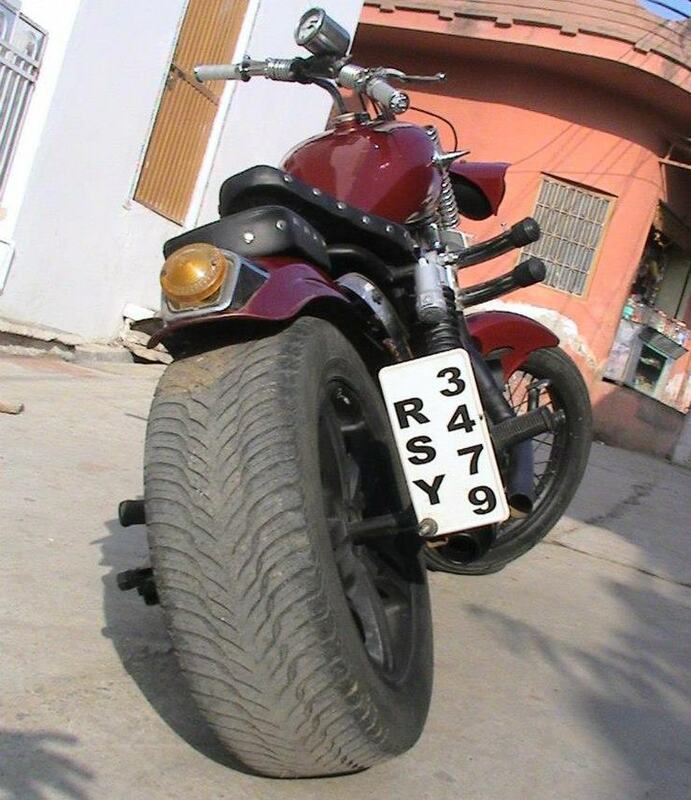 A Yezdi Classizc was an everyday bike when it was made and sold, and even up to the early noughties. Now, though spotting a Classic 250 on Indian roads is akin to spotting an exotic. To make the Classic even more exotic, a bunch of engineering students put together a hub steering at front. Now, a hub steering eliminates dive during braking, making the motorcycle more stable. 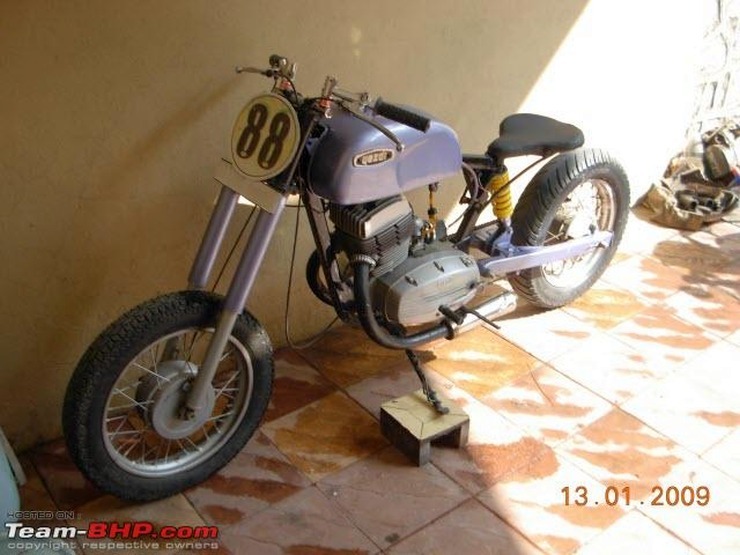 High end superbikes from the Bimota make usually are hub steered. By marrying exotic technology to the everyday Yezdi Classic, the students just built themselves an exotic, right here in India. 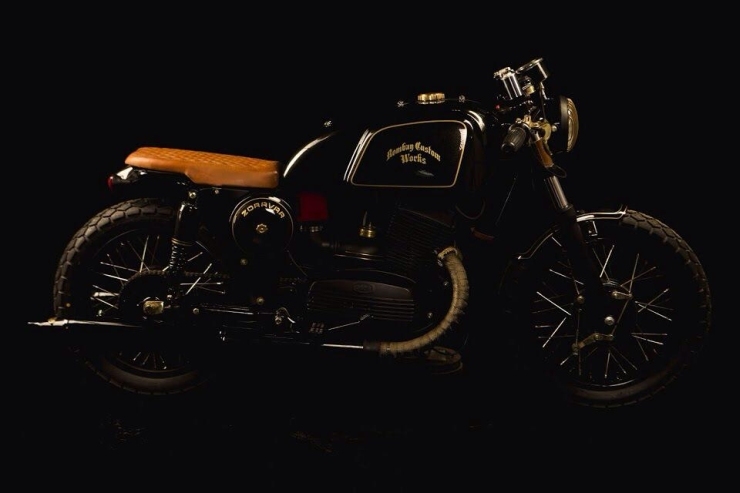 Bombay Custom Works is highly regarded for building exotic machines out of the ordinary. 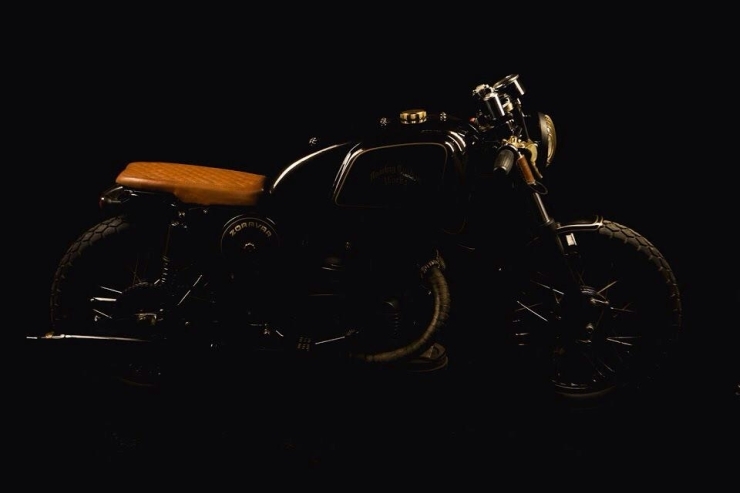 One such creation has been a custom motorcycle based on the Yezdi Classic 250. 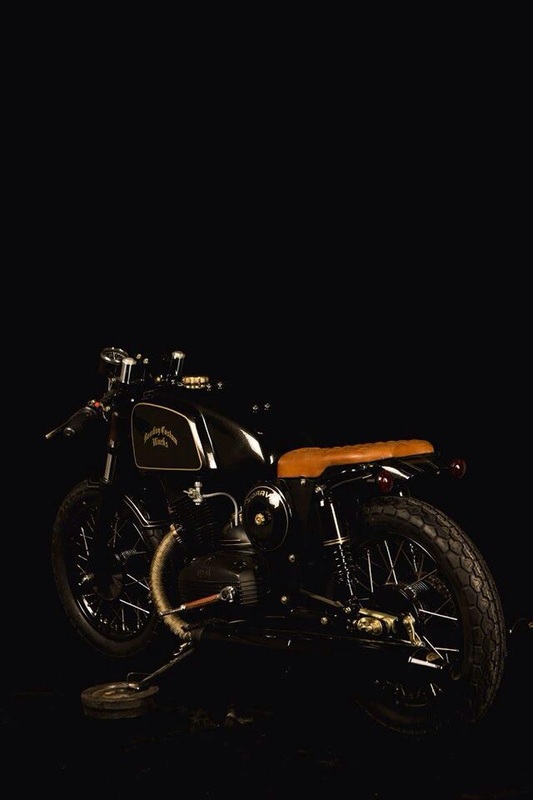 Dubbed the Zorawar, this custom motorcycle gives the Yezdi a cafe racer look and feel. 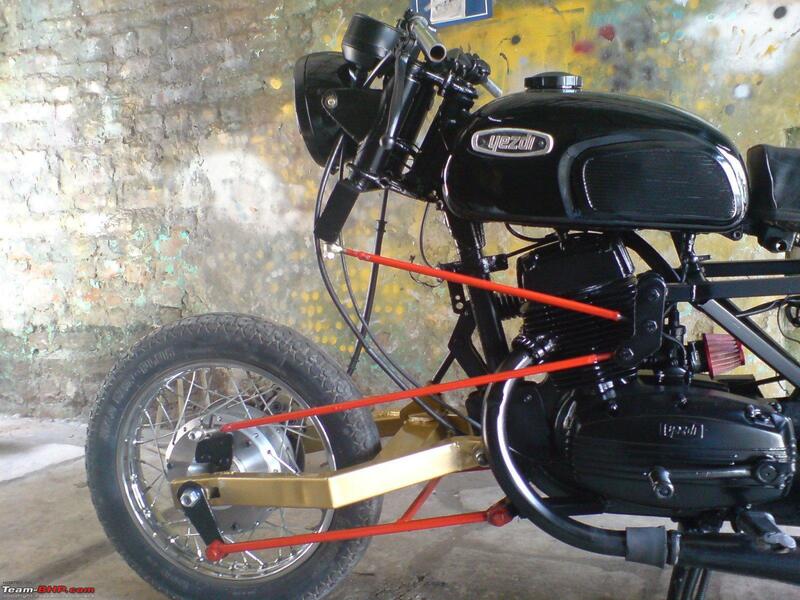 Drop down handlebars, a shorter seat, custom body work and a new paint job are the new bits. However, the twin exhausts are retained, giving the Zorawar the unmissable Yezdi connection. 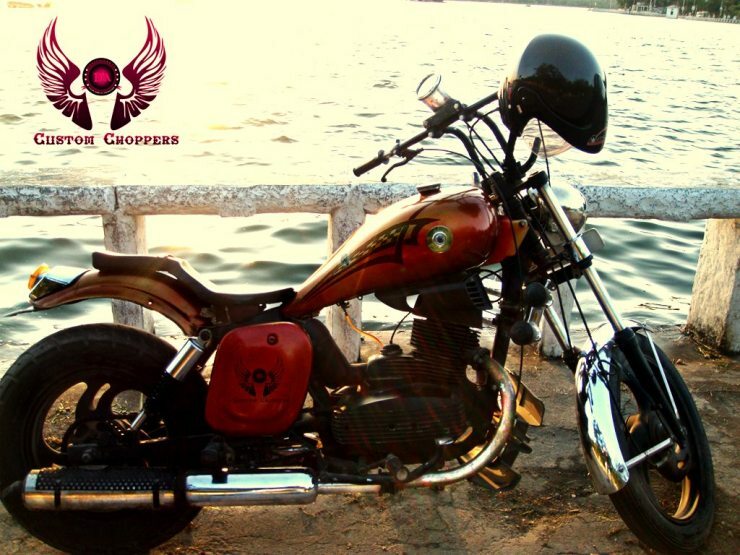 A motorcycle enthusiast from Pune has out together a minimalist looking chopper based on the Yezdi D 250 CL. Shorn of much of the body work, this chopper is essentially a single seater with a tank, wheels and the engine, bare basic in other words. A 2 into 1 exhaust and a monoshock unit at the rear clean up the tail of the custom motorcycle, whose frame has been lengthened. 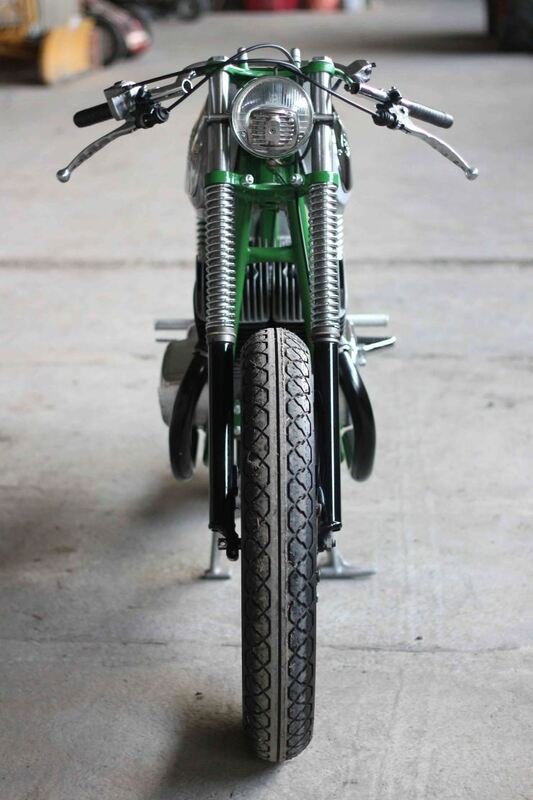 A fatter MRF Zapper tyre at the rear give the custom build a beefier stance. Up front, the headlamp has been replaced by a number board, a-la-a board tracker. 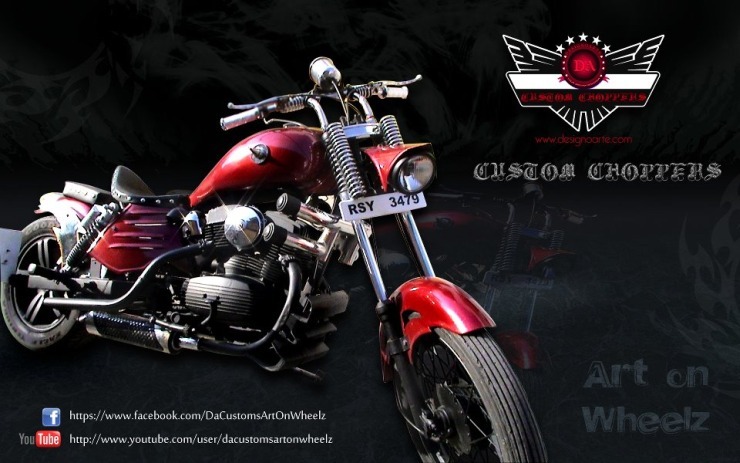 DA Customs of Rajasthan has put together a custom cruiser motorcycle based on the Yezdi Roadking. 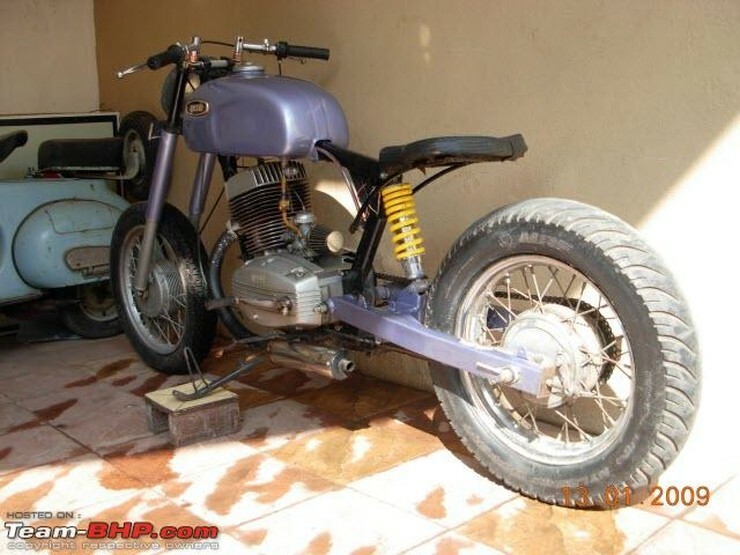 This motorcycle features completely custom body work, from the tank to the very fat rear wheel. A faux engine has been welded on, to give the bike the looks of a V-Twin. The idea was to ape the Harley Davidson choppers of America, and this custom design, though garish at places, has managed to do just that. 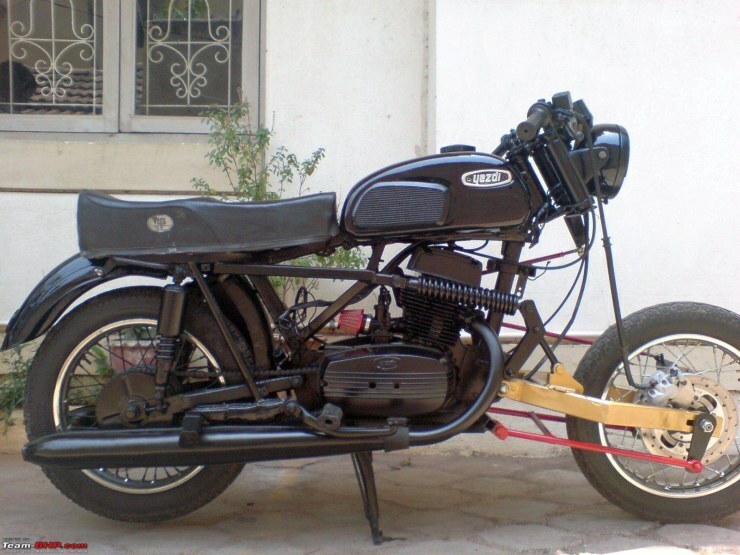 The Ideal Jawa company also sold a 350cc parallel twin engined two stroke motorcycle called the Yezdi 350 in India. 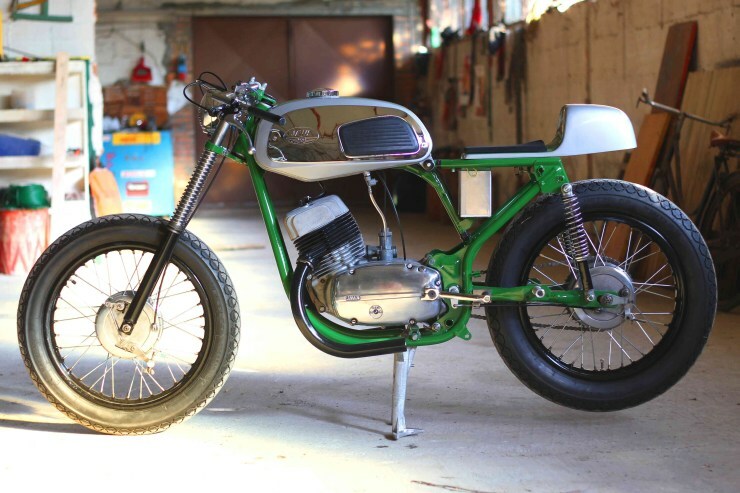 An Italian duo, Zangheri Luca and Filippu Fabio, have built a cafe racer custom around the Jawa 350. 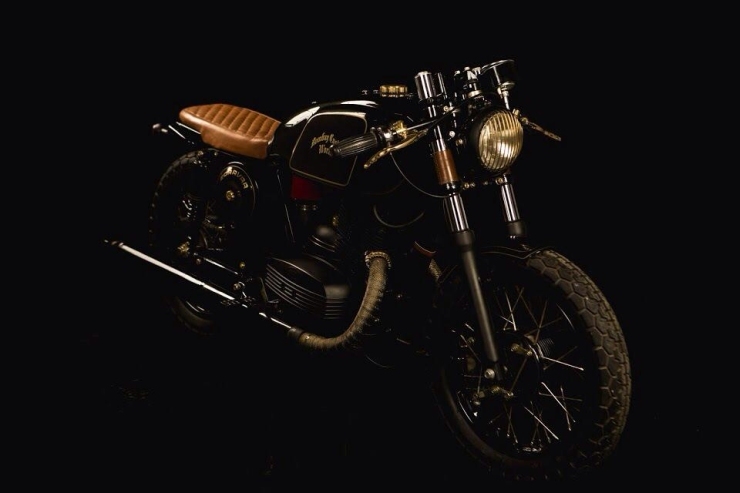 Called the Bone, the custom bike is barebones when it comes to its design. 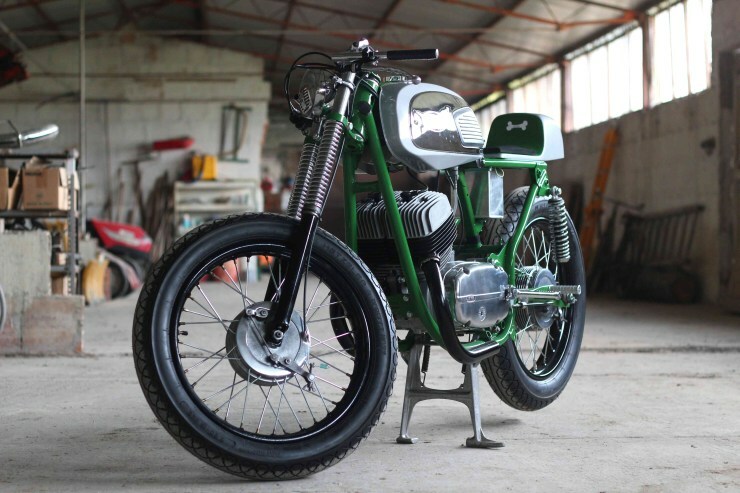 Like most cafe racers, a minimalist design has been the name of the game with this custom build. 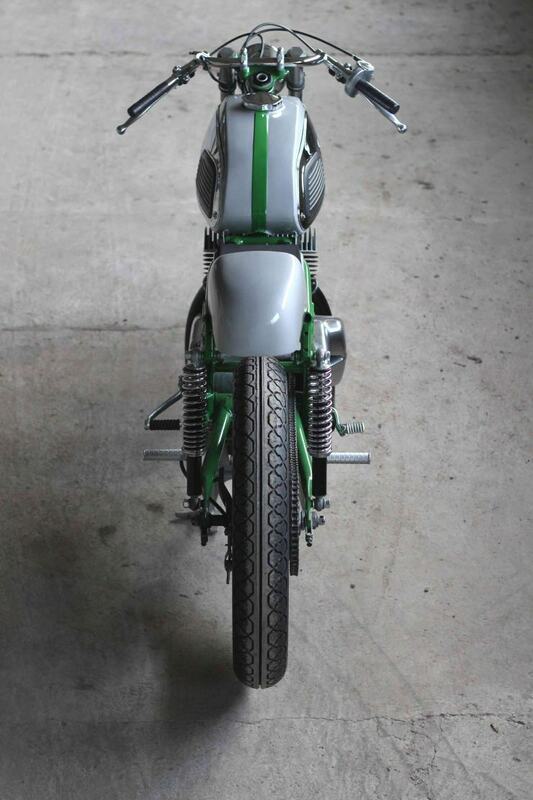 With clean lines all around, this single seat custom bike looks ready for action right from word go. « 5 modified Fiat Puntos: Classy!